Such was its popularity that, during the Victorian era, a railway line was built expressly to transport watercress from Hampshire where it was grown to the market in Covent Garden. This popularity continued until the end of the 20th century when trendy salad ingredients from the continent such as rocket and mâche (lambs’ lettuce) eclipsed watercress. 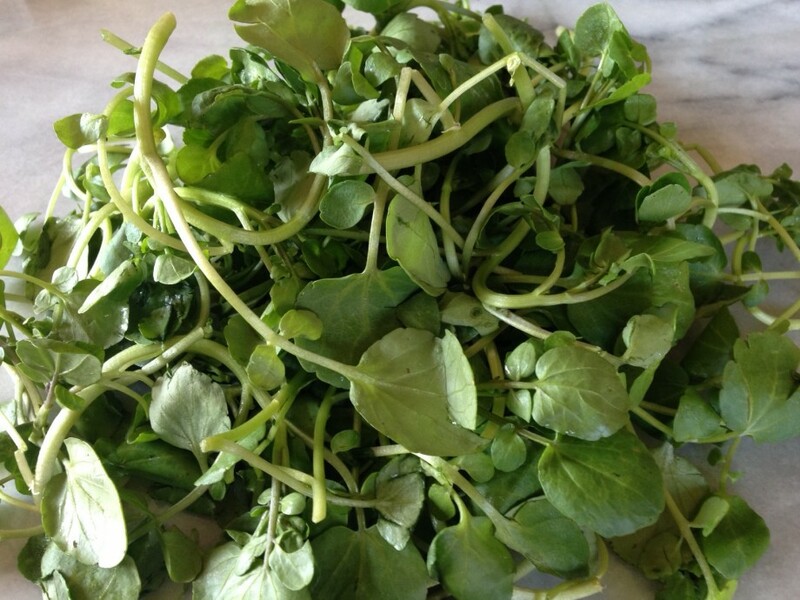 However the growing popularity of “superfoods” has seen a watercress revival. It is one of the most potent foods-rich in vitamins, minerals and antioxidants and, more importantly, it is delicious. The peppery taste is strongest when eaten raw but it can be cooked and added to sauces, stuffings and soups. 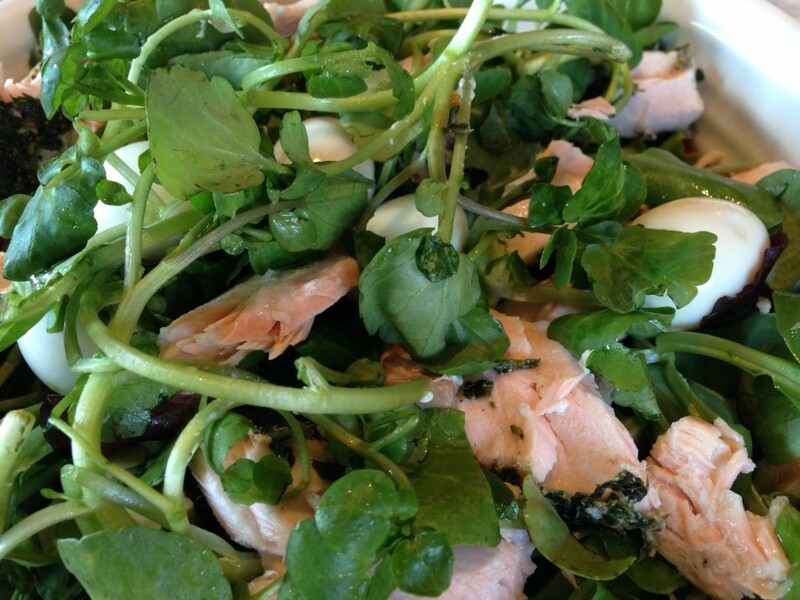 Unusually, watercress is a great match for fish and both white and red meats. One of my favourite salads has just 3 ingredients, watercress, cooked salmon and quail eggs tossed in a zingy lemon vinaigrette. Or for a quick lunch try a BWT roll–crisp bacon, watercress and tomato with a lick of mayonnaise to glue everything together.